Dr. Lamb is a Las Vegas native who grew up around horses and competed in high school and collegiate rodeo, mainly in team roping events. He went college national finals rodeo in calf roping. He is a 1972 graduate of Colorado State University Veterinary School. 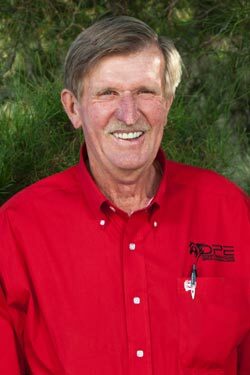 He opened Desert Pines Equine Center in 1998 to offer the valley an equine medical and surgical facility in addition to ambulatory medicine. Dr. Lamb's areas of equine medical interests are reproduction, podiatry, lameness, and dentistry. With 40 years of experience in equine veterinary medicine, Dr. Lamb has seen many changes in diagnostic advances and equine veterinary procedures. He enjoys reading and learning about new research and development. He looks forward to spring every year when he can begin breeding mares and flushing embryos. Dr. Lamb still works Monday through Thursday every week and sometimes Friday unless he disappears to his ranch in Utah. Dr. Lamb spends his weekends driving the tractor around his 19-acre ranch in Utah. When not moving irrigation around the hay fields, he is fly fishing for trout in Utah, Wyoming, Montana, and Colorado. He is currently working at perfecting his golf game. His immediate family includes his wife, Shari (a USEF official) and his two grown daughters, Brooke and Whitney. Dr. Leslie Schur is a 1995 graduate of Michigan State University. She originally hails from the Northwest state of Washington where she was active in the equine community in her youth. After completing an internship at Arizona Equine she moved to Las Vegas to join into practice with Dr. Lamb. In 1998 Dr. Lamb and Dr. Schur opened Desert Pines Equine Center together. 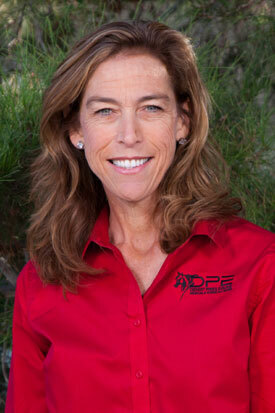 Dr. Schur enjoys focusing on the “Equine Athlete” in a total body health approach to the performance horse. “I enjoy working as a team with the horse, their owner, trainer and farrier, to help them keep feeling their best. The better they feel the better they perform!” says Dr. Schur. “ It has been a pleasure to work closely with a number of equine athletes over the years and being an integral part of the team of professionals that care for them!” She enjoys the puzzles of difficult lameness cases and advanced diagnostic imaging such as; digital ultrasound and radiography. 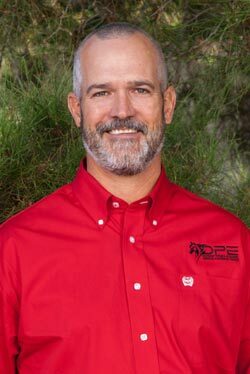 Dr. Schur has served on the American Association of Equine Practioners’ Equine Welfare committee, served as the co-moderator for the Western Performance Horse Rounds , worked closely with the PRCA animal welfare group , and currently serves as a member of the AAEP Performance horse committee. Dr. Schur is married to Darrell Moser and they have 3 beautiful cowgirls who never leave a dull moment in their lives. The years to come will never be less than eventful chasing our girls down the rodeo trail! Whenever there is an extra moment away from Desert Pines Equine or helping mold her little barrel racers, she competes in barrel racing in professional rodeo herself. Dr. Wyatt Winchell was born and raised in northern Nevada. His love of horses developed early in life while growing up on his family’s cattle ranch in Starr Valley. 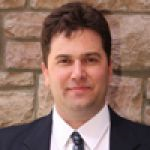 Dr. Winchell is a graduate of Colorado State University, College of Veterinary Medicine and Biomedical Sciences. After graduation he completed a one year internship at Rood & Riddle Equine Hospital in Lexington, KY. This was followed by a three year surgical residency program at The Ohio State University where he continued to develop his skills in surgery and lameness. After his residency training, Dr. Winchell was hired at The Ohio State University as a clinical instructor in orthopedics and emergency & critical care. Prior to joining Desert Pines Equine Medicine and Surgical Center Dr. Winchell has spent time working in two private referral practices, Valley View Animal Hospital in Dover, OH and Brazos Velley Equine Hospital in Navasota , TX. Dr. Winchell has strong interests in lameness, arthroscopic surgery, upper airway surgery, and performance problems. In Dr. Winchell’s spare time he enjoys spending time with his family, riding, and pursuing his new interest in Brazilian Jiu-Jitsu. Dr. Darla K. Moser grew up in Las Vegas, Nevada. She grew up barrel racing and rodeoing throughout Nevada and Southern Utah. 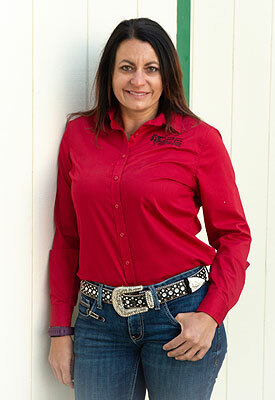 In 2002, Dr. Moser started working at Desert Pines Equine Center as an assistant and became a licensed technician. Thereafter, she obtained her Bachelor’s of Animal Science in 2007 and her Doctor of Veterinary Medicine in 2012 from Colorado State University. During her collegiate career she worked as an equine emergency technician for CSU, an orthopedic research center surgery technician at CSU and a bovine artificial insemination technician for Schleining Genetics, LLC during the school year. During holiday breaks, she made time to come home and work at Desert Pines Equine Center. After graduation, she completed an equine internship with strong surgical focus at Chaparral Veterinary Medical Center in Cave Creek, AZ. Dr. Moser then completed a large animal surgical residency at Oklahoma State University with an equine focus. Her residency research focused on regional limb perfusions and how to better treat distal limb sepsis in our equine patients. In all of her “spare time” she enjoys spending time with her friends and family- both the 2 and 4-legged kind, riding horses and kickboxing. Her interests are in equine soft tissue surgery, equine critical care, and lameness. Dr. Katie Boote was raised on a small ranch in South Dakota where she grew up working with ranch and rodeo horses. This developed her passion to become an equine veterinarian. She did her undergraduate work at South Dakota State University majoring in animal science and obtaining minors in chemistry and equine science. While at SDSU, she competed as a long-distance runner for the Cross-Country and Track & Field Teams. Go Jacks! She then went on to Iowa State University to obtain her Doctorate in Veterinary Medicine. While at ISU, she pursued her love for English riding by taking lessons for jumping. During her summers off, she continued to work in different equine veterinary practices to gain a diverse set of experiences. After graduation, she completed a year-long equine internship at Chaparral Veterinary Medical Center in Cave Creek, Arizona. Dr. Boote enjoys the wide variety of her job and increasing her knowledge to provide the best care to keep her patients healthy and at peak performance. In her spare time, she rides as much as she can, continues to train and compete in half-marathons and enjoys hiking with her Rhodesian Ridgeback, Arya. She is very excited to join the team at Desert Pines Equine and strives to continue the high quality of care that each client and patient is given. 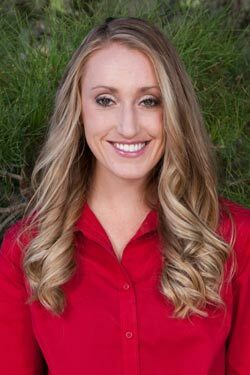 Dr. Weinstein, DVM, MS is a veterinary specialist from the Las Vegas Veterinary Referral Center who works with our veterinarians on complex equine ophthalmology cases. He is available to travel to our clinic for exams and procedures. Please visit the LVVRC website for further background information.